Red Bill Toucan (Ramphastos tucanus) is the third largest of the black toucans, and nearly identical in size to the Swainson’s toucan. 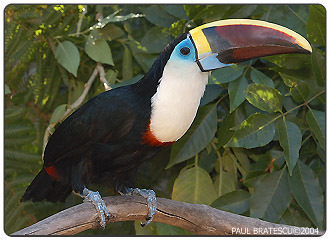 It is a common species of Colombia, Venezuela, Guyana and Surinam, and is not to be confused with the Couvier’s toucan(R. tucanus couvieri) a subspecies. The Red Bill was not seen in the U.S. until 1983, when it was first imported. The first Red Bill was bred in captivity in 1984 by Jerry Jennings, but has bred only moderately well since, and the numbers are limited. The Red Bill toucan is an active, curious bird that makes a great addition to the toucan breeder’s collection. It is robust and hardy and makes both an excellent display bird for zoos, and a wonderful pet. 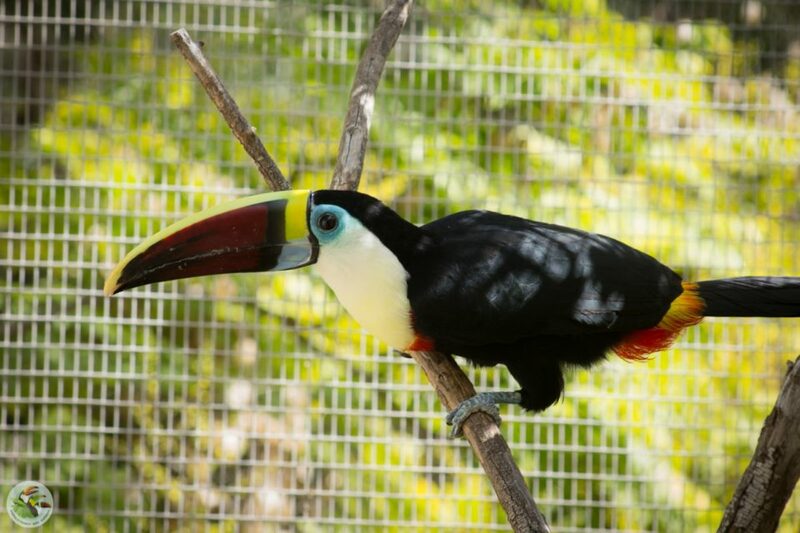 It has a distinctive voice that truly brings the “sounds of the rainforest” to the garden aviary. First captive breeding May 30, 1984; Jerry Jennings.